Enjoy audiobooks purchased directly from your favorite authors. 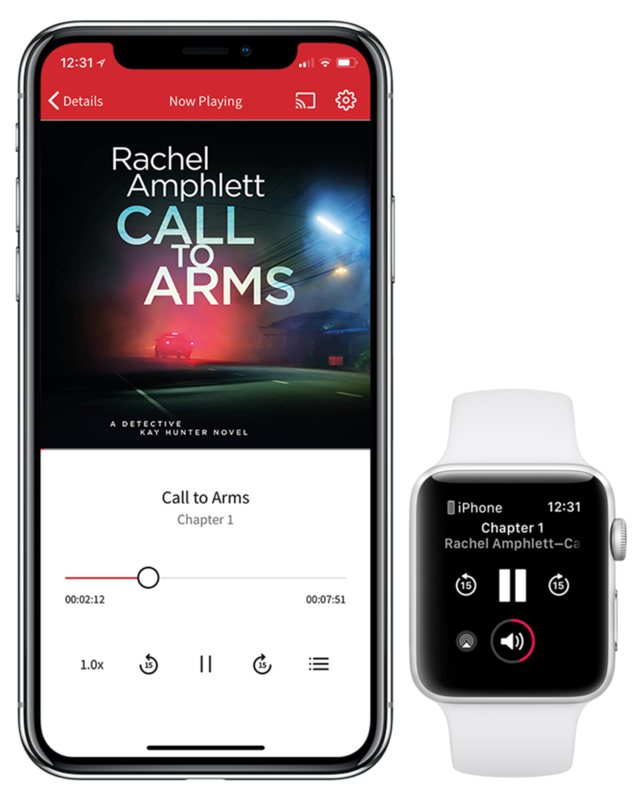 Authors Direct is an app where you can listen to the audiobooks you've purchased directly from authors. So authors can focus on their fans while we focus on giving you the best listening experience. It's seamless: we create an account for you the first time you purchase an audiobook from a participating author and your books show up in your account instantly. Authors Direct is an opportunity to spend money directly with your favorite authors and build a library of audiobooks you love. It's a great way to show your support and encourage writers to create more audiobooks. The free Authors Direct app gives you everything you need to listen to audiobooks. No ads, no upselling promoted content, no interruptions. You're going to love it. Listen anywhere with full offline playback support. Find the perfect speed with our fine-grained controls. Listen to your audiobooks completely ad-free and commercial-free. Cast your audiobook to any Chromecast or Google Home device. Yes, Authors Direct may be downloaded for free from the iOS App Store, or the Google Play Store. Authors Direct automatically creates an account for you the first time you purchase an audiobook. Look for an email with a one-time-use password and instructions on downloading the Authors Direct app. You cannot create an account inside the app. You can reset your password from the login screen in the Authors Direct app, just look for the 'Forgot Password' link. Where can I buy an audiobook to listen to with Authors Direct? If you're in the US, Canada, or Australia, you can buy an audiobook from any participating author. We're excited to expand to more countries soon. Also, we'll be posting links to new author stores here soon! Can I purchase audiobooks in the Authors Direct app? No, there is no storefront or in-app purchase ability inside Authors Direct. We simply give you a great listening experience for audiobooks that you purchase on a participating author's website. Can I listen to an audiobook somewhere else? No, you must use the Authors Direct app to listen to your audiobook. It can be streamed inside the app, or downloaded within the app and stored securely for offline listening. How long will I have access to listen to my audiobook? The audiobooks you've purchased never expire. I have a Giveaway Code, what do I do with it? Go to our redemption page to enter your code and your email address. We'll create an account for you and send you an email with login instructions and links to download the Authors Direct app. Your free audiobook will be waiting in your account when you log in. I'm an author, how do I request Giveaway Codes? I'm an author, how can I sign up? Authors Direct is an exclusive service provided by Findaway Voices. To participate in Authors Direct, you must have your audiobooks submitted through Findaway Voices. Authors Direct is currently invitation-only, but we'd love to add you to our waitlist. Please contact us to let us know you're interested. Send us an email at support@authors-direct.com.